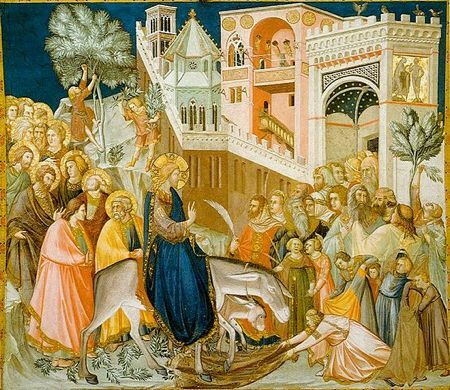 Palm Sunday commemorates Jesus’ riding into Jerusalem in spite of the likelihood of his being arrested. What might we do if we were brave? The Reverend Frieda Gillespie will explore that topic at our service this Sunday, April 13. Painting of Jesus entering Jerusalem by Pietro Lorenzetti (1320).